When we moved to our new home the cats gained some indoor space but lost their outside catio. 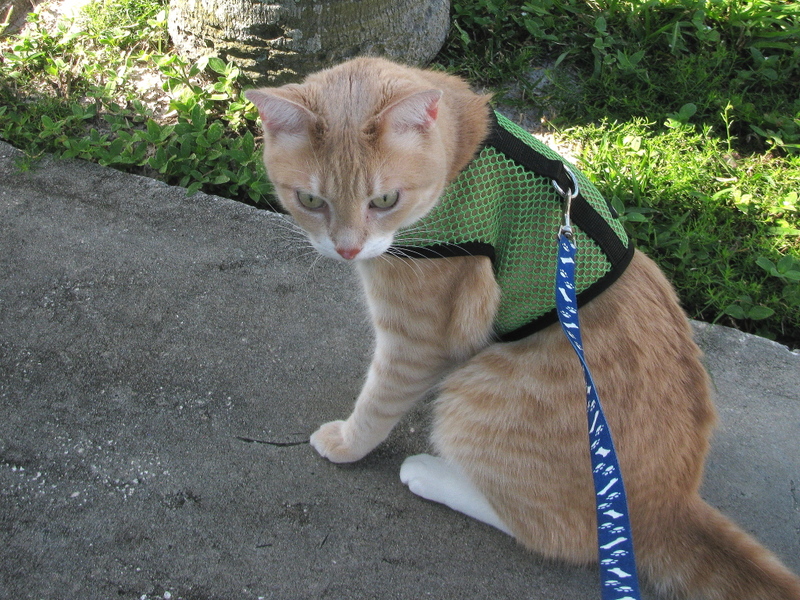 Before we built the catio I would take Frankie for a walk on the harness once or twice a week then let Chris out for 10 or 15 minutes while I watched him. 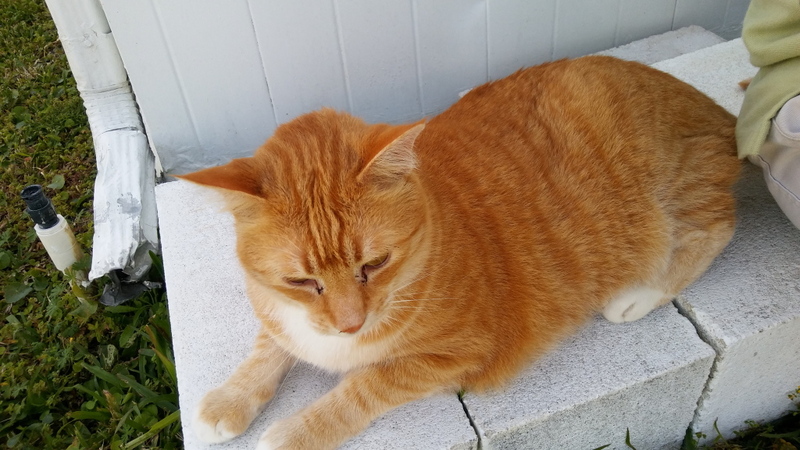 Since moving, and before last week, Frankie has only been outside a couple of times and only because he escaped. 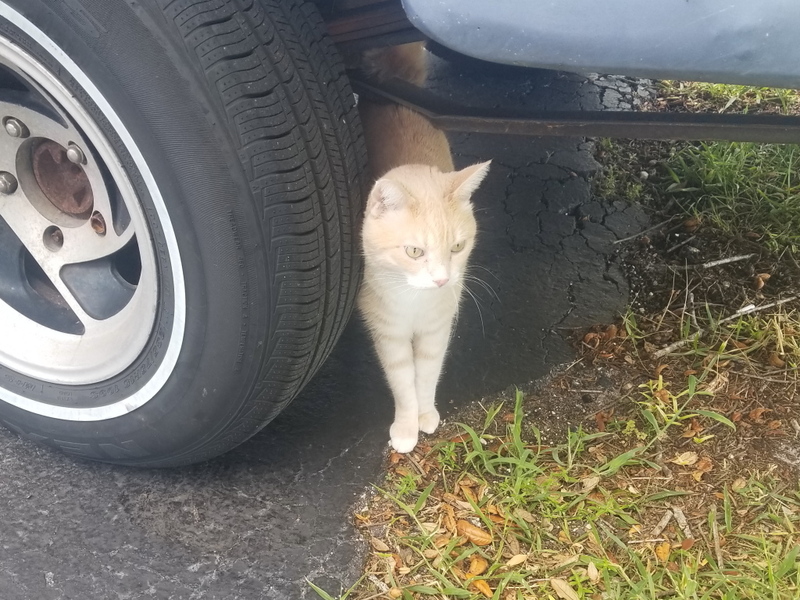 Frankie hangs out under vehicles when I am close so I can’t catch him. Chris escaped a couple of times too and I let him out once or twice because he has been much more demanding (and annoying) about going outside. 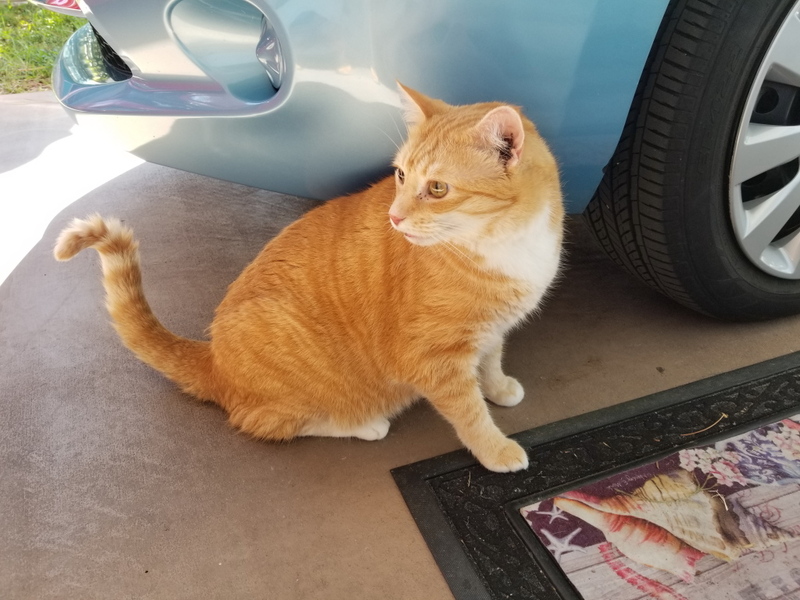 I hesitated to let Frankie out because he didn’t make a big fuss at the door like Chris and I wanted to keep it that way but I also wanted him to have some outside time. In addition, I wanted him to get used to where our house is in case he escapes again and loses his way. This will be important because we will be on vacation next week and I don’t want the cat-sitter to have problems. 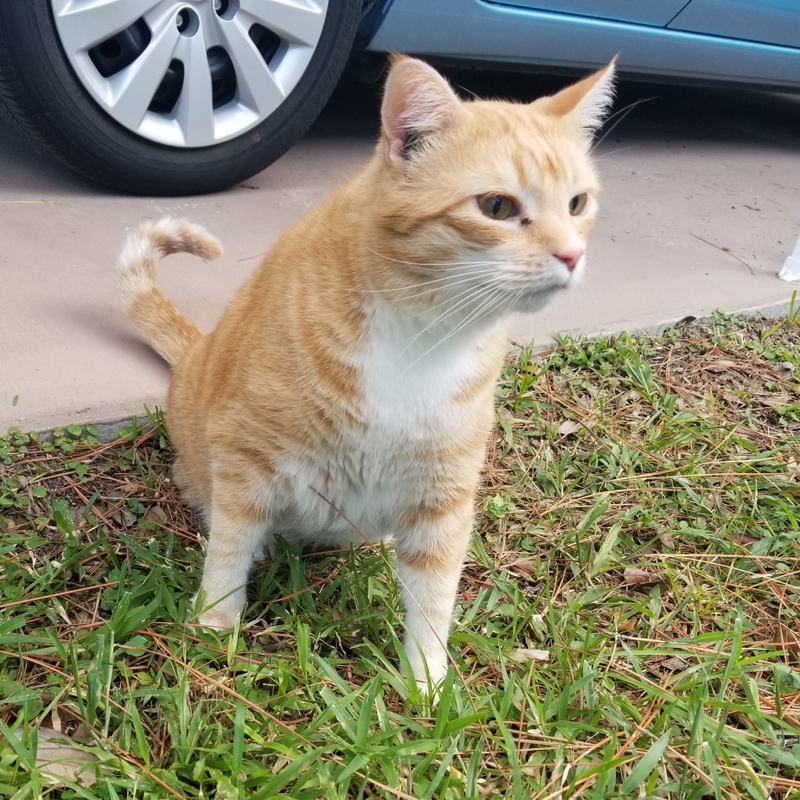 I let him outside for the first time on October 1 and he was so happy. Of course, he has to stop and smell the bushes. Getting him home was a nightmare. He tends to walk in one direction so I have to pick him up to get him home but he has learned to be more aggressive and he hisses, growls and struggles to get out of my grasp. I couldn’t hold on to him for more than ten seconds at a time. I just tried to get him to walk in the right direction. When He changed course I would pick him up again until he broke free. As usual, when Frankie returned, Chris went outside. 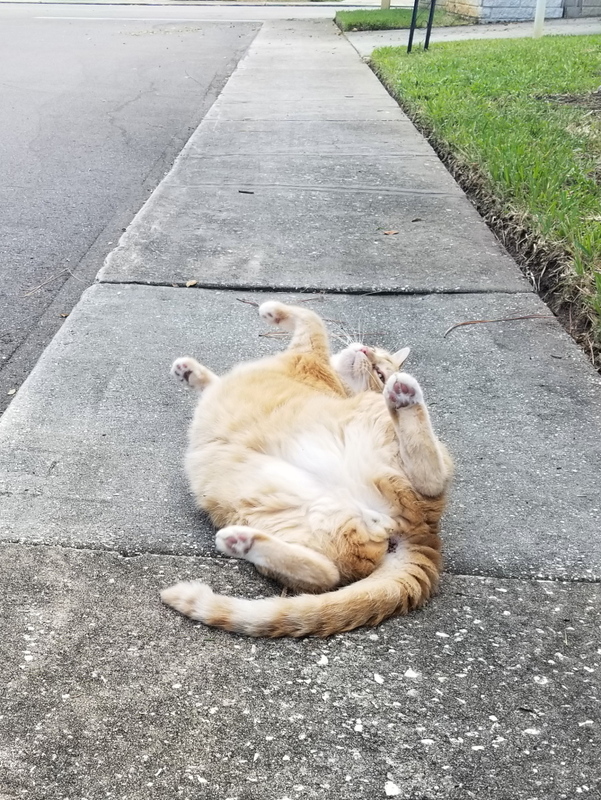 And also, as usual, he did his happy roll where everyone could see him. That scene repeated the following week but I haven’t downloaded the photos from my phone yet and I am a bit too rushed to do it now but I’m sure you get the idea. Frankie has now become like Chris and both have become extremely annoying about going outside. 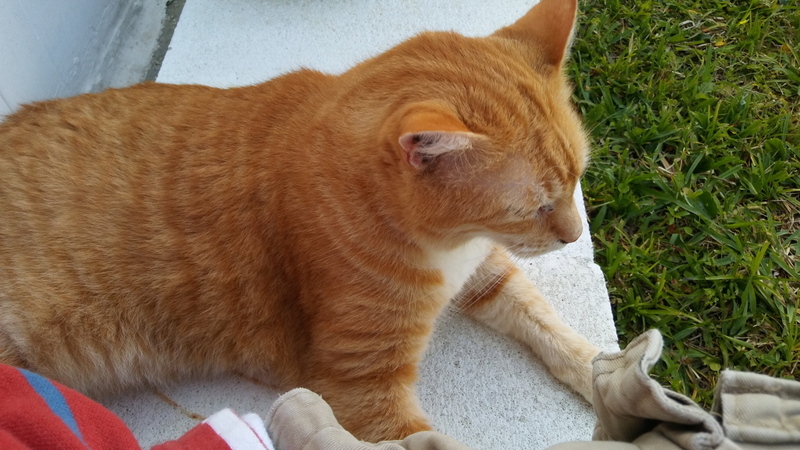 This entry was posted in Uncategorized and tagged Cats, cute, outside on October 10, 2018 by Charles Huss. 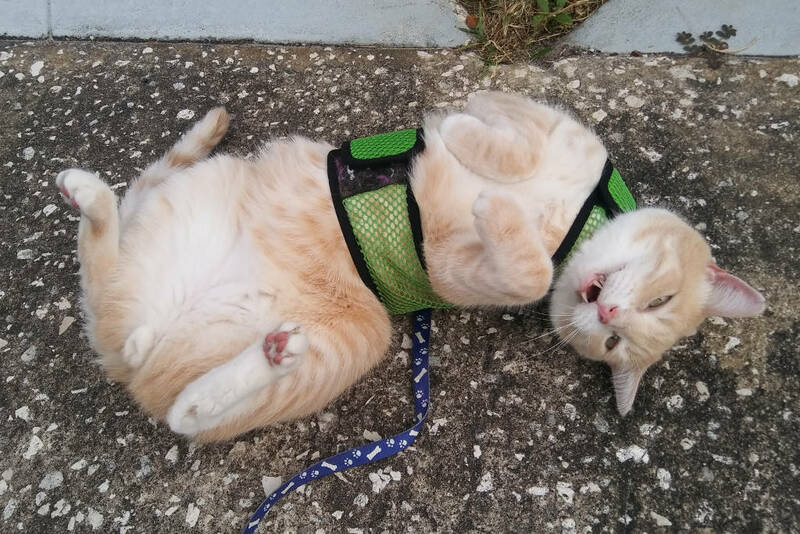 On a recent walk, Frankie decided to do the “Happy Roll” that he learned from Chris. 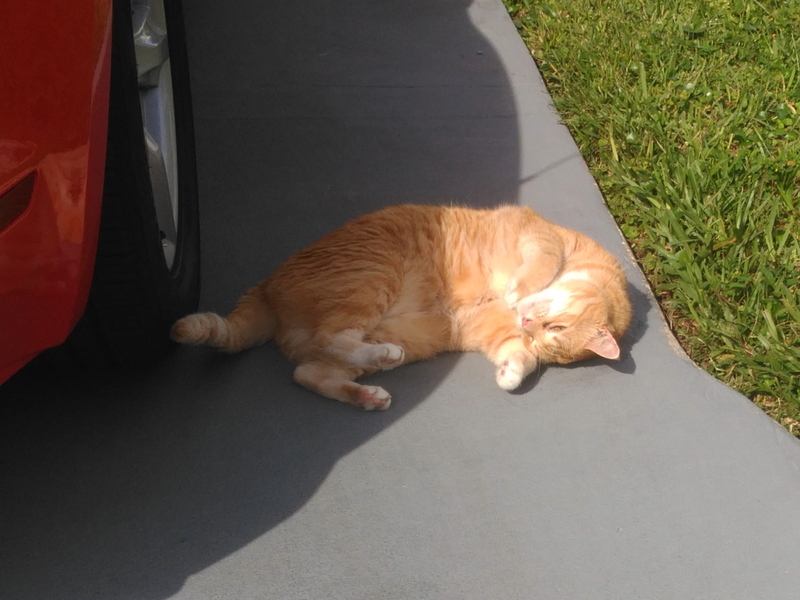 This entry was posted in Uncategorized and tagged cat, cute, outside on October 13, 2017 by Charles Huss. Saturday is typically outside day for Chris and Frankie. 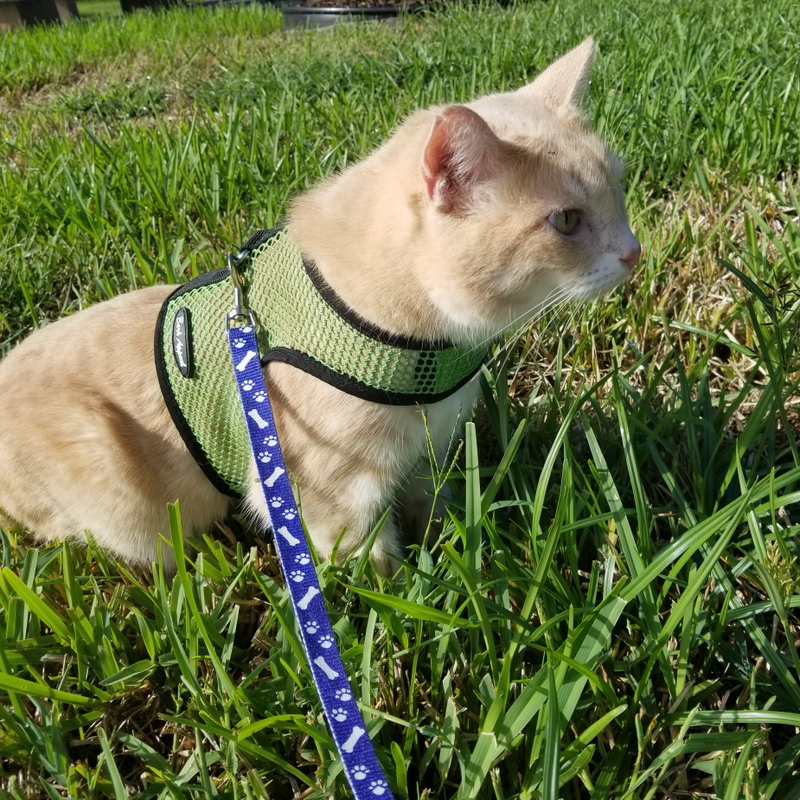 I first take Frankie for a cat walk on his leash and harness and then I let Chris outside for some fresh air and grass. Chris doesn’t require a harness because he generally stays close to home. I do watch him because he wanders off sometimes and I have to pick him up and bring him back. Mostly he just eats grass and relaxes. I usually sit at our table outside and watch him. 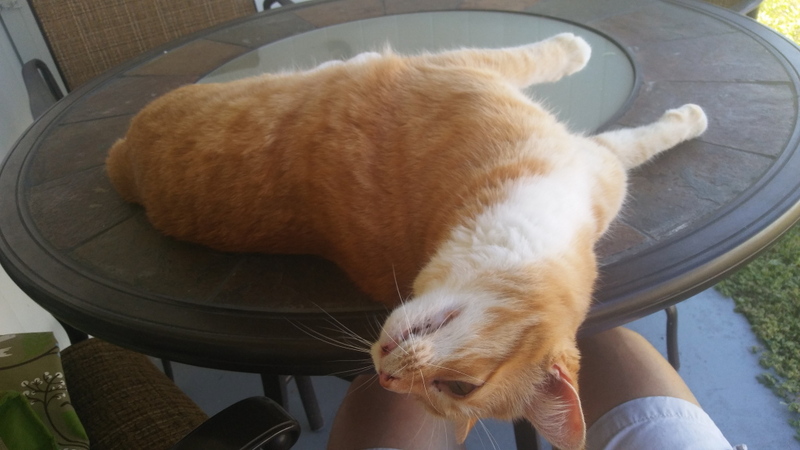 Sometimes he joins me at the table. Sometimes I sit on the steps and he joins me there. 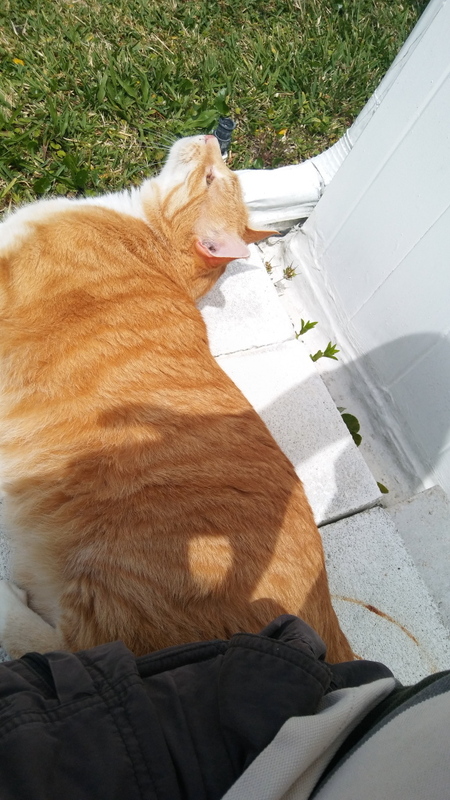 Other times he wanders to the back of the house and I have to uproot myself and follow him. I’ll sit on the blocks behind the shed and Chris will hang out with me there too. 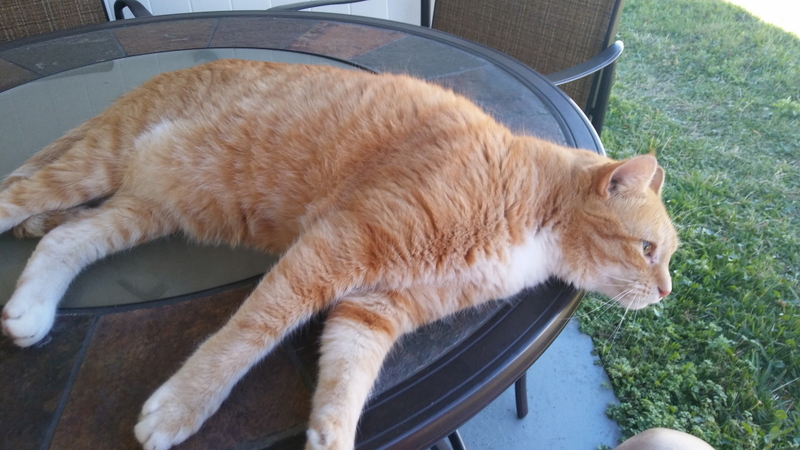 This entry was posted in Uncategorized and tagged cat, outside on June 22, 2017 by Charles Huss. You just never know what to expect when you take a walk with Frankie. 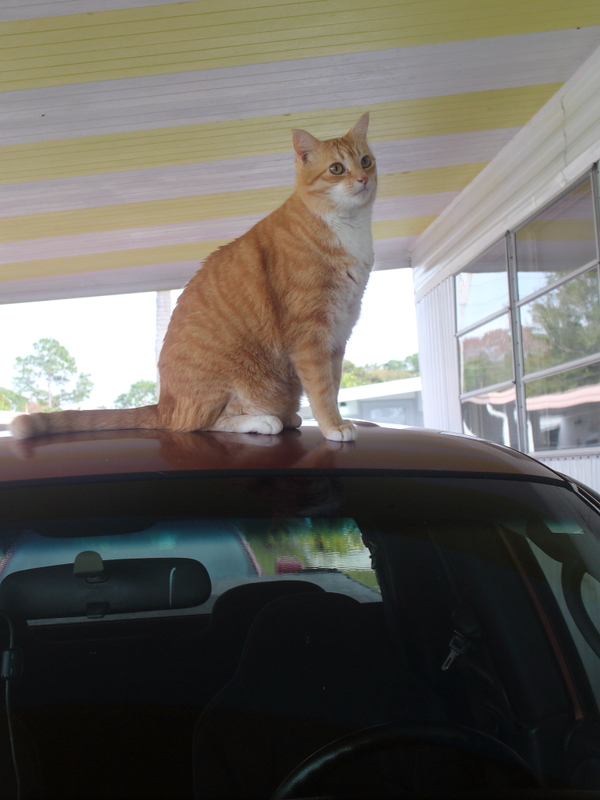 This entry was posted in Uncategorized and tagged cat, cuye, ginger, gold, outside on June 16, 2017 by Charles Huss. 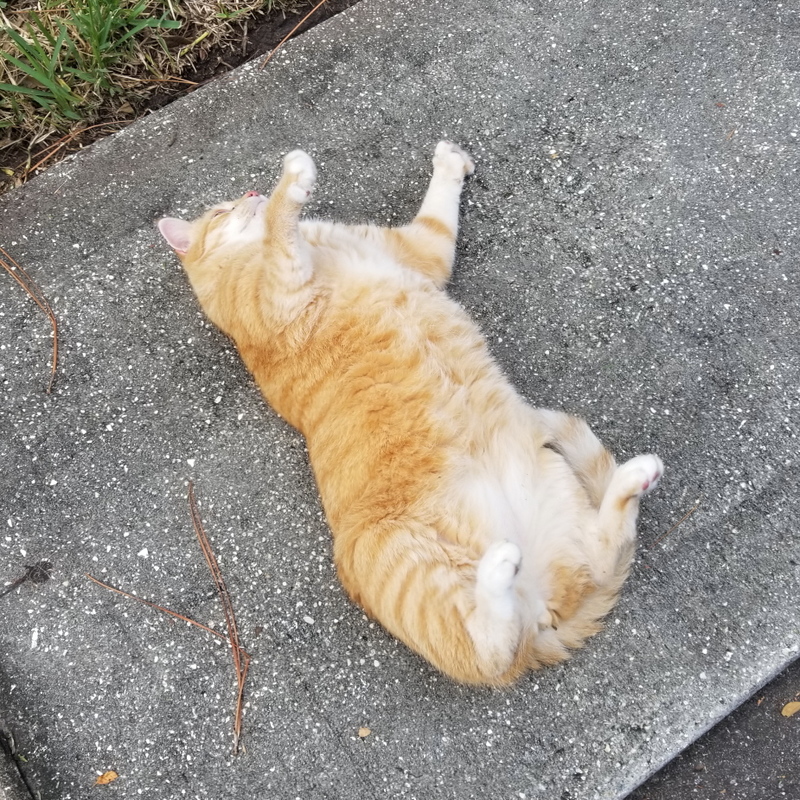 Whenever Chris goes outside he does his version of a happy dance, except he rolls back and forth on the driveway to express his joy at being outside. 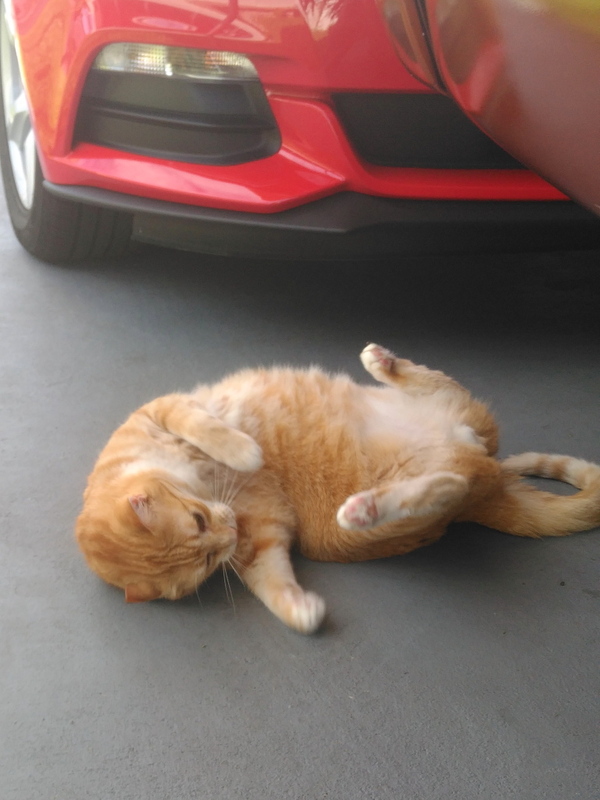 Do your pets roll around when they are happy? This entry was posted in Uncategorized and tagged cat, cute, funny, Happy, outside, roll on February 6, 2017 by Charles Huss. Our cats are stuck inside most of the time so I can’t blame them for trying to get out every time someone opens the door. Lately Frankie has been relentless. He stands by the door and cries or he runs to the door every time someone in the house gets up. 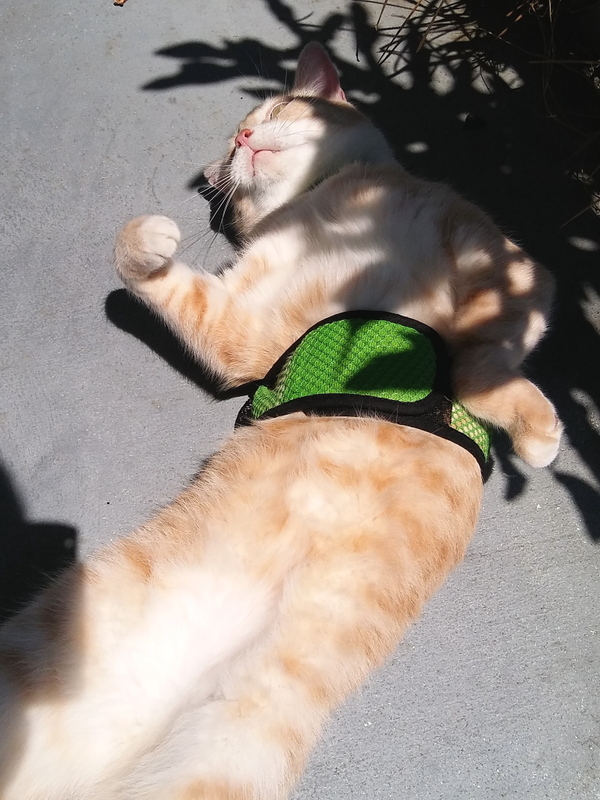 I try to put a harness on him at least once each weekend. When I do, Chris is right there ready to run out the door. I try to stop him but I often fail and he is outside with Frankie. That is what happened Saturday. I tried watching Chris while I had Frankie on the harness. It was easy at first because Frankie and Chris were both content with staying close to home while eating grass. The problem started when Chris wandered to the back to see what Frankie was doing and then kept going to the neighbor’s driveway behind us. I then had to put Frankie inside the house and retrieve Chris. 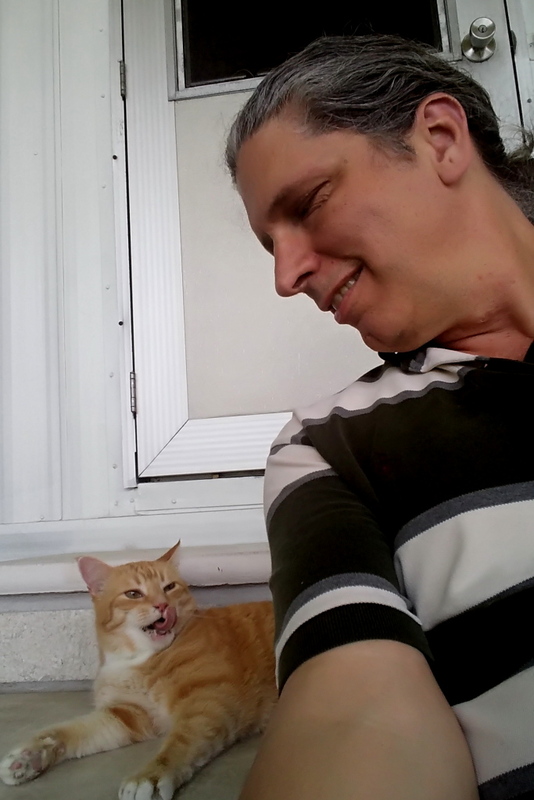 I then brought Chris inside and let Frankie back out again. It was a pain but Frankie was happy in the end. 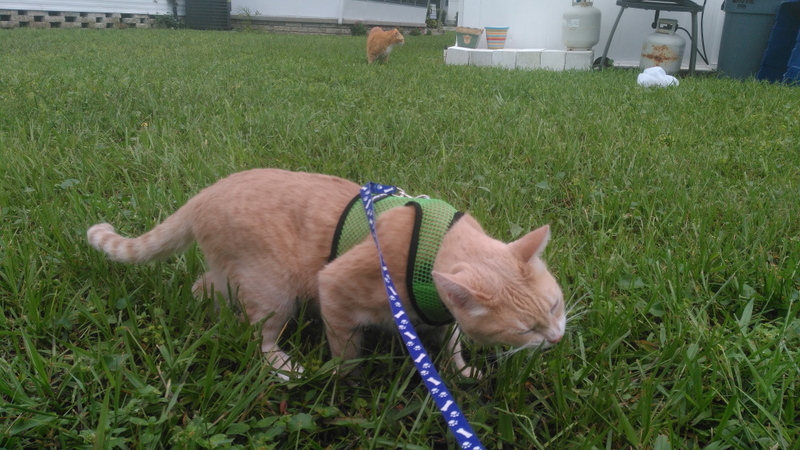 This entry was posted in Uncategorized and tagged Cats, grass, harness, outside, walk on September 9, 2016 by Charles Huss. 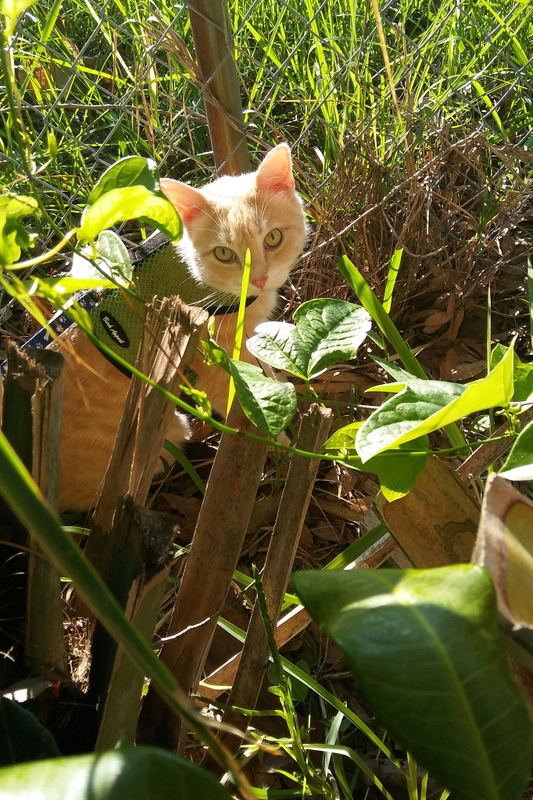 Can Earthing Benefit Your Pets? I believe the concept of Earthing was introduced in a book called Earthing: The Most Important Health Discovery Ever! I have not yet read the book but I read several articles about the subject and watched a documentary called Grounded. As best as I understand it, when we are disconnected from the Earth, like we are in our homes or while wearing most shoes, we build up free radicals in our bodies that cause inflammation. That leads to a long list of other health problems. By taking our shoes off and touching the Earth for 30 to 60 minutes a day, we allow a free exchange of electrons that can neutralize these free radicals and restore health. Even just standing on unpainted concrete, like a driveway or sidewalk, will allow an exchange of electrons. I had been wearing minimalist shoes for over a year but decided I needed to get as close to barefoot as possible. The best option I could find was a pair of traditional moccasins that only had a single layer of leather for the sole. The leather, once worn in, conducts electricity and is the perfect compromise between shoes and barefoot walking. Plus, they are very light and allow my feet to move freely in them. The only problem was that I had to learn to walk like humans are supposed to, by landing each step less on the heel and more toward the balls of my feet. Striking the heel on a hard surface like I was used to with sneakers, or even the minimalist shoes, was somewhat painful. Since moving a few months ago I have not been walking on the Earth much and lately I have been thinking about ways that I could get out more. Suddenly I realised that our cats get outside to touch the Earth even less than I do. I have always felt it was good for pets to get outside where they could run around and breathe fresh air and now I have another reason to get them out. I am sure that if connecting to the Earth can help people it could help pets too, perhaps even more so for inside only cats that never have contact with the ground. Unfortunately, getting my cats outside has always been difficult. Busy traffic near our last home and rules against outside cats where I live now keep our pets inside. 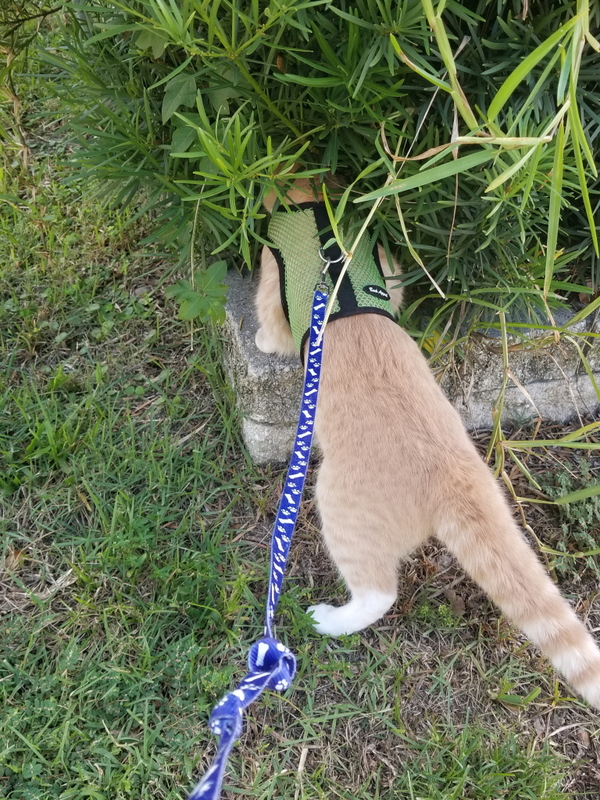 It also doesn’t help that Frankie is a runner and I fear he will go to far and get lost if let out without his harness, but finding time to “walk” all of our cats is difficult. Going forward I will try let Frankie and Puck outside more often for walks on the harness. That will help me get out more too. Hopefully Puck can get over his nervousness because I want him to get outside as well. 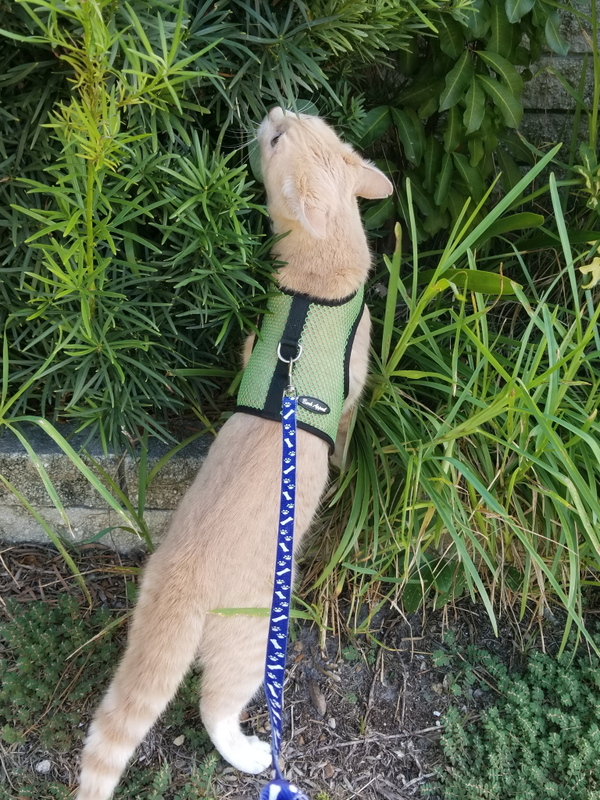 Chris doesn’t need a harness but I plan to spend more time letting him eat grass before making him go inside. In addition, I may pick up an earthing mat to use in the home. It is a mat that connects to the grounding plug in your home or to a wire that leads outside into the ground. It might be helpful when I sit at the computer with all the EMF radiation around me, then the cats could lay on it when I am not using it. I read that pets are naturally attracted to it. What do you think? Does anyone have any experience with Earthing? 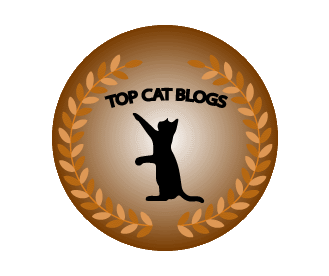 This entry was posted in Uncategorized and tagged Cats, earthing, grounding, minimalist, moccasins, outside, Pets on October 24, 2015 by Charles Huss.